Even if you are stuck at work you can enjoy the healing power of nature by wearing semiprecious stones, also known as healing crystal jewellery, which are carrying the healing vibrations of Mother Earth, the Moon, the Stars and other celestial bodies. 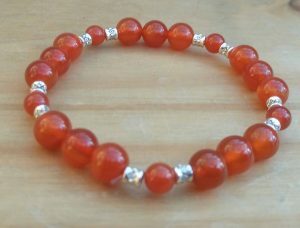 Talking about Oranges… Carnelian is a lively gorgeous Orange gemstone, The Stone of Vitality. When you feel tired, over-worked, even depressed the colour of this healing crystal will lift your mood and the healing properties make you come to life again. What if you are stressed out, your mind is racing and you just are unable to calm yourself down? Blue stones are generally a good choice to find the so needed inner peace or at least a slower pace of being. Sodalite for example is a mottled dark & light Blue and White gemstone. Its speciality is uniting logic with intuition. When you take your focus off your thoughts and start looking inside you already feel calmer. 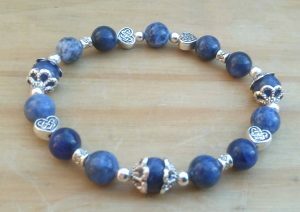 With Sodalite you get added benefits. Helps bringing shadow qualities to the surface to be accepted without being judged. 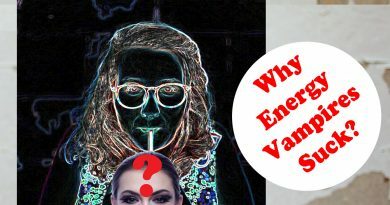 The best way to keep these gemstones in your energy field is wear them as jewellery. In summer, when your whole arm is exposed, bracelets look stunning on your hand. They are especially beautiful stacked up. 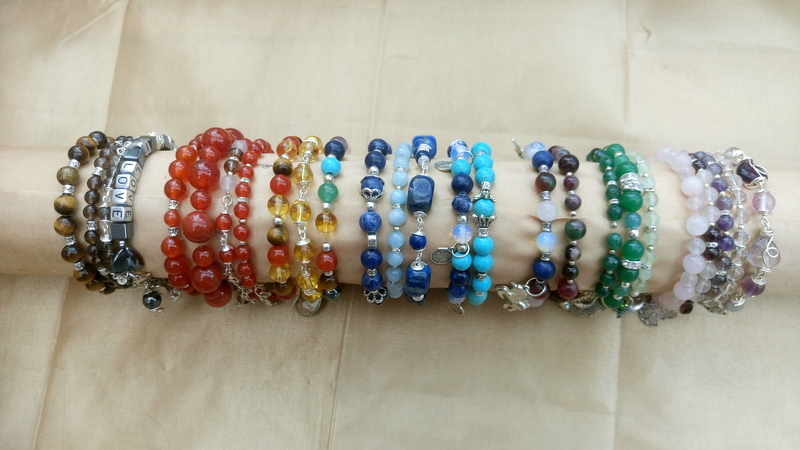 Match the colour of your bracelet with your outfit or pick a complementary colour to set off other colours in it. I reduced the price of my handmade “pull on” elastic bracelet with 30%, so you can enjoy more for less. Hurry! Limited stock! Go and find your bracelet! Happy browsing! ← Feeling out of sorts? 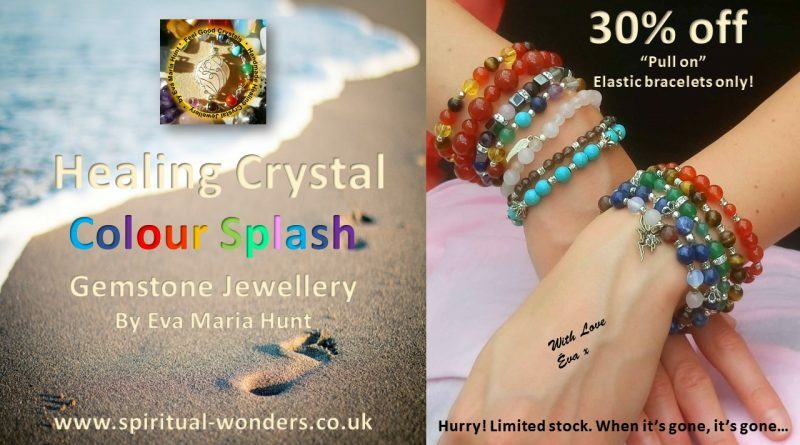 Reset Your Energies with Healing Crystal Jewellery. Always at hand, Beautiful, Effective!